Because of increased interest in the growth of health care costs, a great many questions have been asked about the economic consequences of the introduction of new medical technology. Is the rapid increase in cost due to progress in medical research, progress that has brought about the introduction of new and more expensive diagnostic and treatment methods? 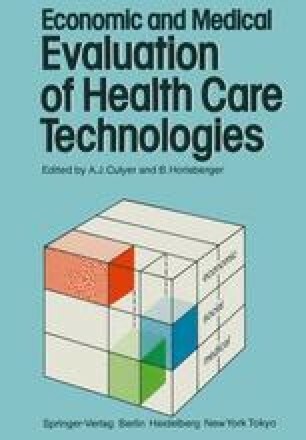 Is it possible to reduce the increase in health care costs through systematic investment in the development of new medical technology that is less costly than established therapies? To answer these questions it is necessary to follow the growth of the health care costs of different diagnostic groups and to find methods of calculating how the costs are affected by changes in the therapies used for these diagnoses.